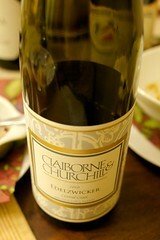 2010 Claiborne & Churchill Edelzwicker "Proprietors' Blend"
This is a 100% Chardonnay sparkling wine. 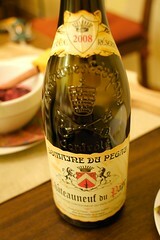 It is made with natural fermentation. Bright color with green and yellowish hues. 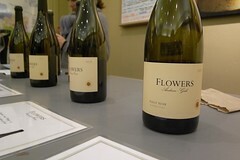 The selected yeasts are perfectly balanced with our chardonnay. It has gentle, soft and fresh taste. The grapes for this wine were all grown on the slopes of a 3-million-ton limestone deposit located 2,200 feet above sea level. Geologists describe this limestone as "Paleozoic marble" that is between 225 million and 560 million years old. Its influence on the soils and the deeper ground beneath the vines imparts complexity and subtle flavors to the grapes and hence, the wine. 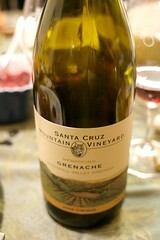 We selected the barrels that went into this wine to give you a wine that can be enjoyed young. "Edelzwicker" is the word used in the French-German province of Alsace to designate a blended white wine that (usually) incorporates the four "noble" (edel) grapes of that region. And indeed our bottling includes all four: Dry Riesling, Dry Gewurztraminer, Pinot Gris and Dry Muscat. We've made Edelzwicker every year since our first crush in 1983. In the late 80's we started putting "Proprietors' Blend" on the label, fearful that no one could speak or understand the German tongue-twister. Now we think it's time to go back to the original name; what do you think? As a blended white "table wine" our Edelzwicker is obviously intended to be versatile, and with its floral, fruity and zesty notes it is pleasing to all kinds of palates and suitable for all kinds of occasions. 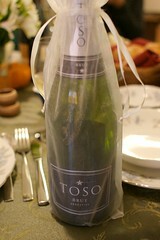 It is also fairly priced, so that it can be served at parties, receptions, and other large gatherings. 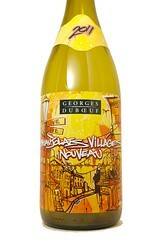 The Beaujolais Villages Nouveau is always produced in much smaller quantities than the plain Beaujolais Nouveau, and our staff finds it much the better wine. This is the gold standard in Nouveau, and always popular. 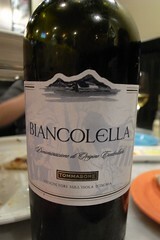 Dry white wine of a light straw yellow colour. 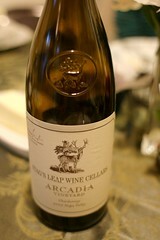 Great wine with an elegant and fruity fragrance. Typical note of ripe fruits. 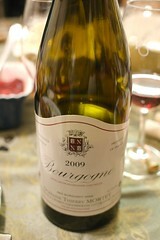 It tastes soft and well-structured. Excellent as an appetizer. At 8-10 °C, it goes well with sea food and the first dishes of typical Mediterranean cuisine.